7021 S. Glen Lake Rd. Two bedrooms/2 baths. 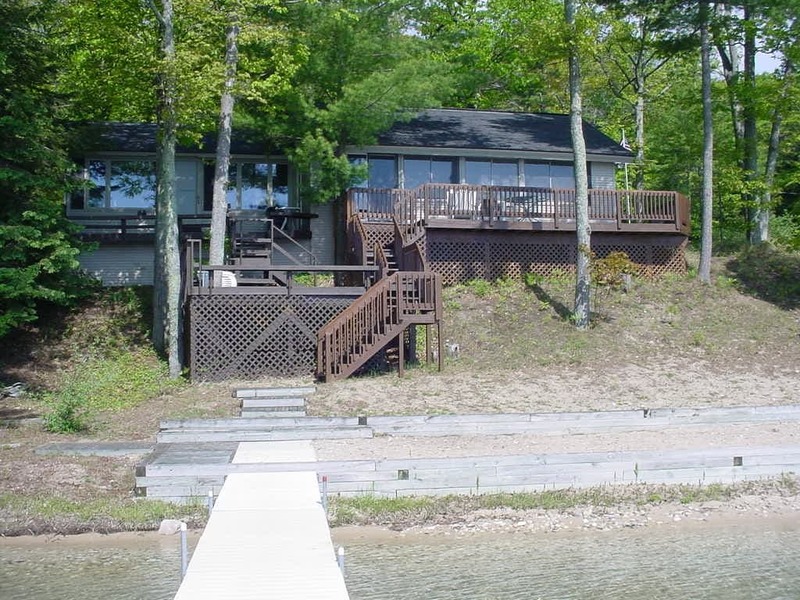 Located on the west shore of Big Glen Lake. Accommodates six. King bed in the master bedroom; two twin beds in the second bedroom; queen futon in the living room. Air conditioning; ceiling fans; dishwasher; sundeck with additional deck directly by the water; dock; mooring device; 100 feet of frontage; charcoal grill. Linens and towels provided. Non-smoking. Summer rentals are Saturday to Saturday.